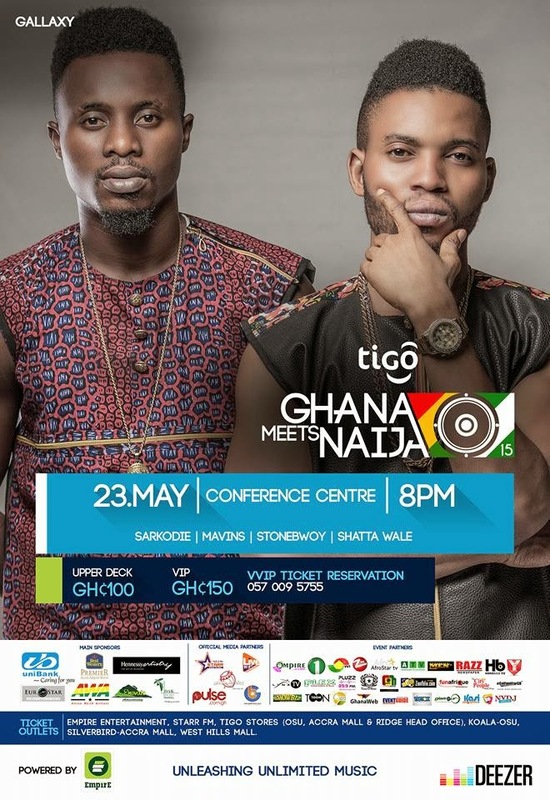 Highlife and Afrobeat music Gallaxy has promised a show down at the much anticipated Tigo Ghana Meets Naija mega concert which will be held tomorrow, May 23 at the Accra International Conference Centre. In an exclusive interview with Pulse.com.gh revealed that patrons who will throng the dome should expect nothing than pyrotechnic performance on the night. “You know, Tigo Ghana Meets Naija is a very big platform and for Gallaxy, this is our first time of climbing that stage so fans should expect power or fireworks on that day. The stage has to be very strong because the kind of energy we are going to use on that day is going to be totally different,” they said. The “Boko Boko” hit makers also revealed that Tigo Ghana Meets Naija has brought great impact on the Ghana music industry. “The Tigo Ghana Meets Naija has brought great impact on the Ghana music industry. It has united Ghanaian and Nigerian artistes. The event allows Ghanaian artistes to showcase their talents to the world because not only Ghanaian and Nigerian music fans attend the event but other foreign countries do. Ghanaian artistes can market themselves to the world through this event,” they concluded. Next articleExclusive Pictures From Gee4 Interview With Jason On Rhythmz Show.